When I came across Berndaut Smilde, I immediately liked his work. There’s a good reason for this: To a certain extent we’re ploughing the same field. I herewith have a passable excuse for posting some of my own work. 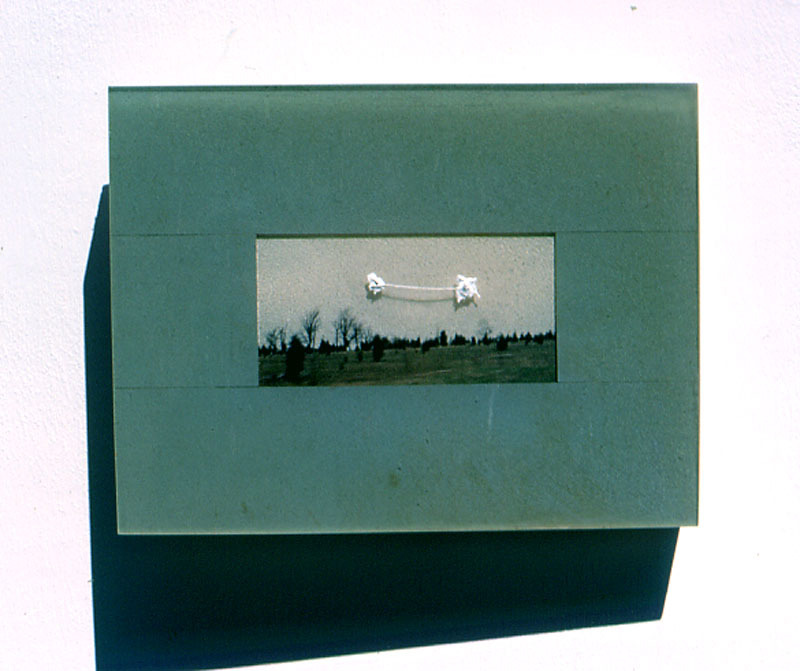 Brain Cloud, from 1983, 16″ x 22″. It’s a fresco of sorts – acrylic paint mixed into Polyfilla(TM) on aluminum window screening stapled to particle board with a hardwood frame painted with commercial enamel. This is also my opportunity to point out that I came up with the silly idea of a brain cloud way before Tom Hanks was diagnosed with the same affliction in the movie Joe and the Volcano. It also seems to be the case that I have based my career on materials and approches that beg to be underestimated. It’s passive-aggressive I suppose. 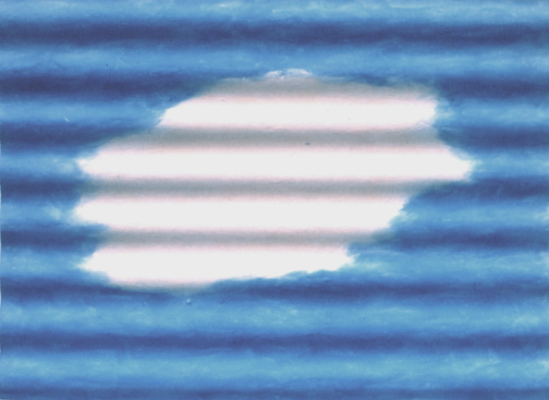 Another silly title … A Case of Meteorological Hyphenization, 1988, 7″ x 9.5″. This one’s a colour photograph (a C41 print in fancy talk) mounted on plywood (which I gessoed to protect the print from acid in the plywood), surrounded by linoleum and covered with clear table top epoxy. On the very top there are two blobs of titanium white oil paint connected with a cotton thread that came out of my clothing – my pants probably. One needs to seize opportunities when they arise. The usual description of art would have said, “mixed media”, but that’s not very informative. I only just realized, while writing this, that this hyphen in the sky is a precursor of work to come close to twenty years later. 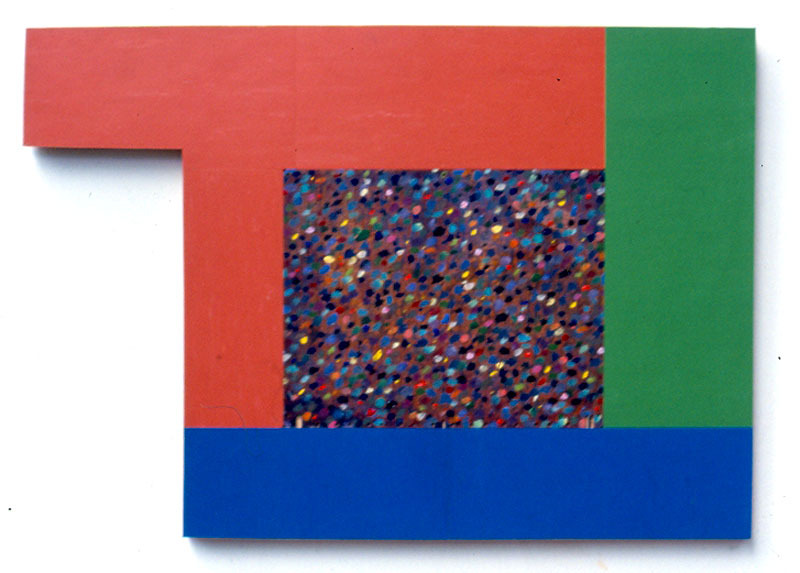 This one’s included because after all these years, I still really like it: The Infinite Choice of Primaries, 1992, 20″ x 29″. It’s a copper foil covered circuit board painted with acrylic and mounted with linoleum on plywood. I obtained a stash of un-etched circuit boards from my local scrapyard which is a great place to browse – except for the dog. My friend was bitten by the dog once, but perhaps because he’s a communist, he didn’t sue the proprietor. He needed a lot of stitches. My daughter’s friend tried putting on some red/blue glasses that came with a 3D comic book to look at this painting. Hilary was a funny girl. She’s still funny, but now she’s a woman. Little did she realize that as an art college student I had spent quite a while experimenting with various “hand-tooled” methods to suggest or produce virtual three dimensions. The lovely thing about the circuit boards are the arrays of tiny holes. They remind me of miniature David Rabinowitch sculptures, an artist I’m fond of. At one time, 1974 maybe, I made a scale model painting of Barnett Newman’s Who’s Afraid of Red, Yellow and Blue III, 1967. It was about 8 inches wide, on stretched canvas, just like Barney’s version. HO scale New York School is a very amusing idea, especially when you don’t take the weave of the canvas into consideration. That makes it more of an “essencing” as opposed to a model. I made up “essencing”. Unfortunately, I’m not sure where the painting is now. 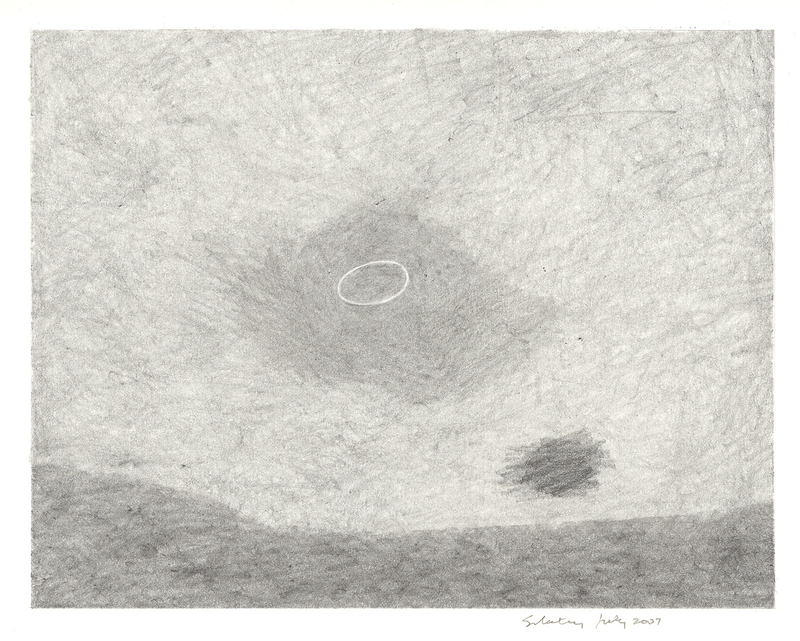 This pencil drawing is called, Externalization Phenomenon, 1976, 8.5″ x 13″. I was an art student at the time and I was teaching myself how to draw, because you don’t learn that kind of thing in art college – it’s more about attitude, networking and fashionable theory. At the time it seemed radical to me to develop a skill, and in particular, a skill in one of the least valued mediums at the time. The futility of hand rendering in the Age of Mechanical Reproduction was extremely appealing to me: It seemed like a conceptual art kind of thing to do – a do-it-yourself homemade variety Sol Lewitt or Andy Warhol process. I’ve always found it easy to commit subversion in a way that no-one notices. 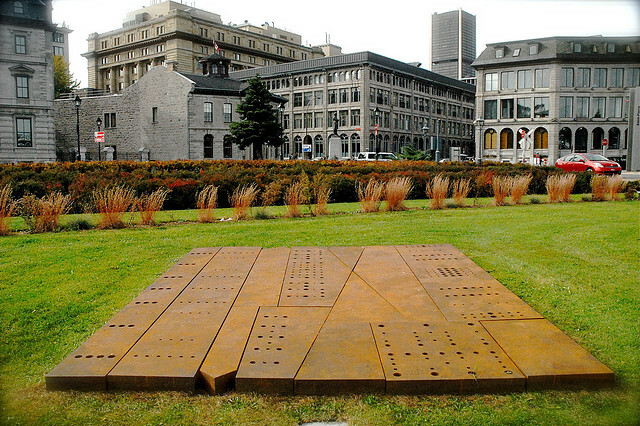 In my student days I also made some Minimalist pieces with hand tools – take that Donald Judd! 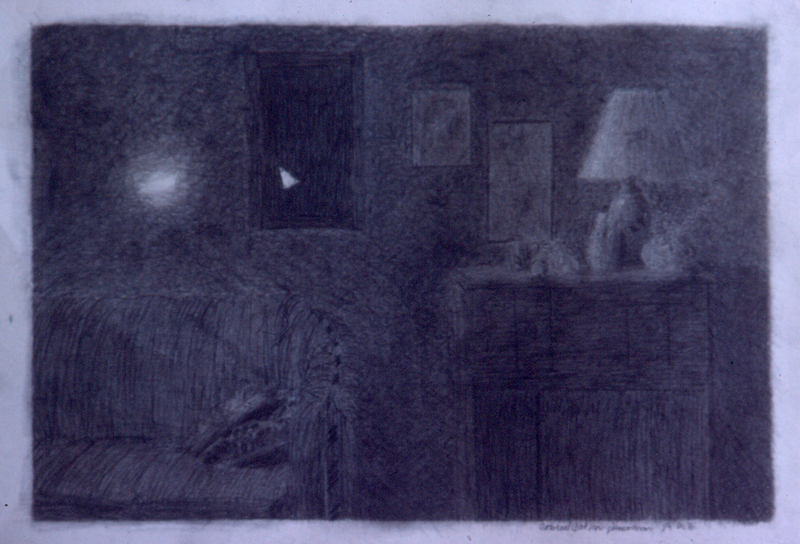 The art hanging on the wall in the drawing was a pseudo-minimalist piece I did the year before. As for the title, I was reading a lot of Jung at the time and he uses the term ‘externalization phenomenon’ to refer to synchronistic events. With my developing drawing skills, I embarked on a series of drawings of ghosts. I still draw from time to time. 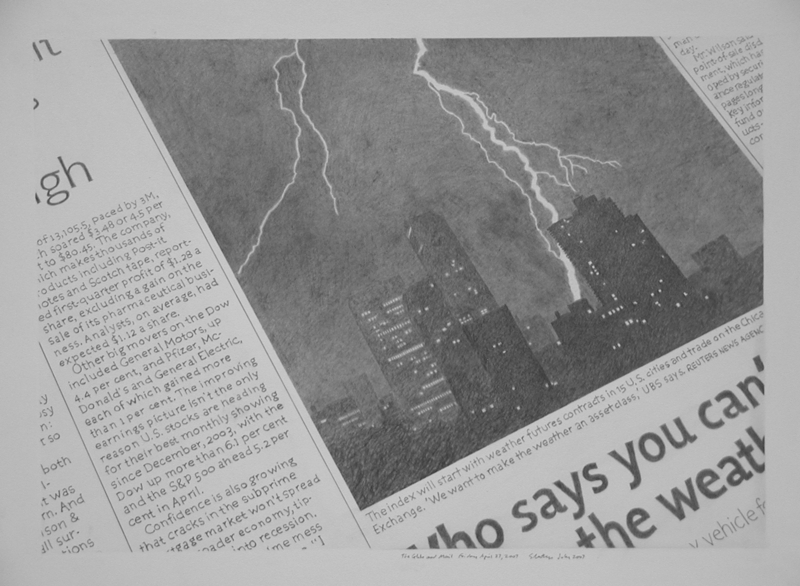 This is a drawing of the newspaper from 2007, 22″ x 30″. In all modesty I can say it’s amazing what I can do with a 2B pencil. 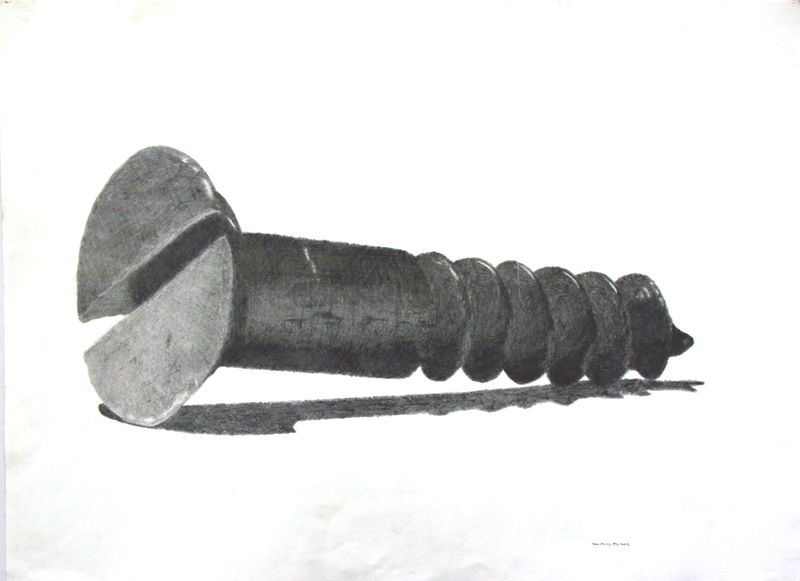 And this is a single object still life from 2008, also 22″ x 30″. I like single object still-lifes because multiple objects gets a bit too narrative for me. I don’t do allegory. 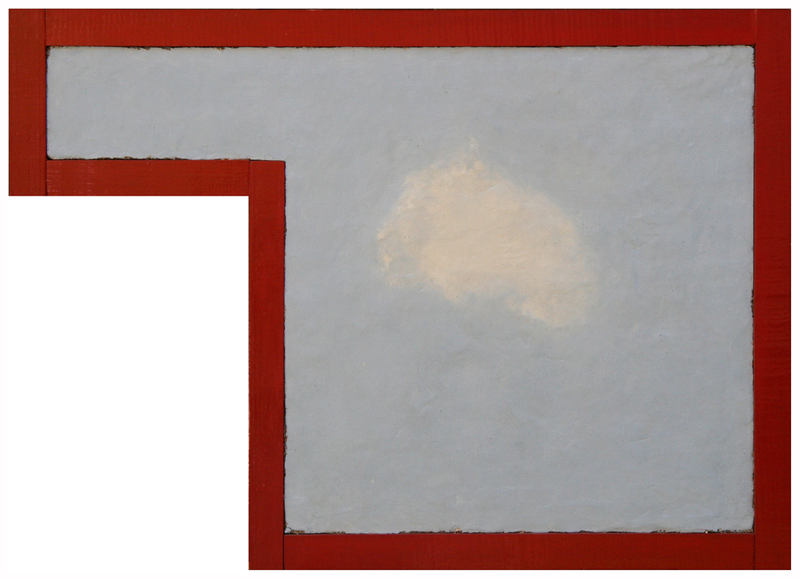 This is Kipping, 20″ x 28″, 1984, oil on corrugated fiberglass, named for a good friend of mine who painted many clouds back in the day and also liked to distress the support to create ambiguity, something Clement Greenberg called one of the chief sources of pleasure in art. I like to put things in boxes and I don’t often use masking tape. Instead, I’m obsessively careful and usually get into a very pleasant meditative state when I do it. 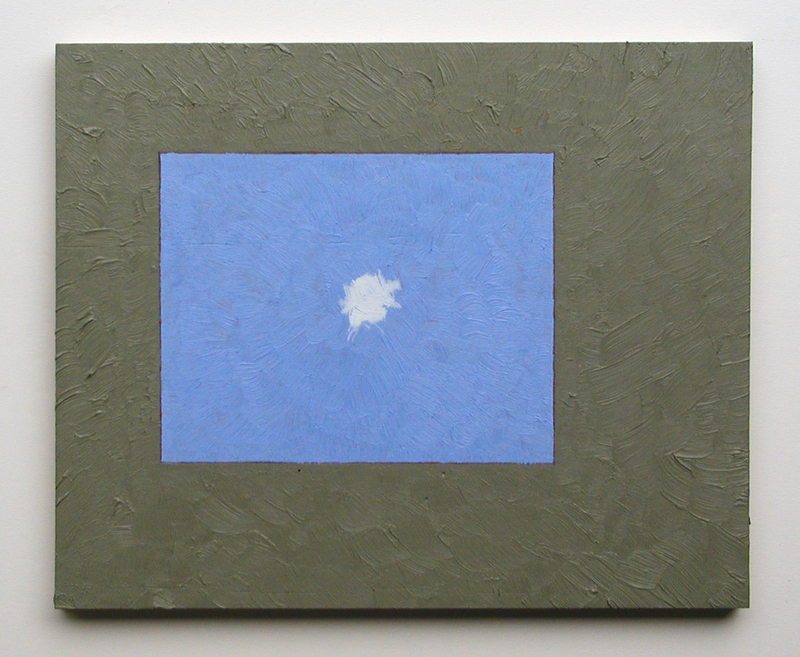 Untitled, acrylic on MDF, 11″ x 14″, 2006. Untitled, graphite on paper, 9″ x 11″, 2007. Peculiar clouds, I don’t know what came over me. 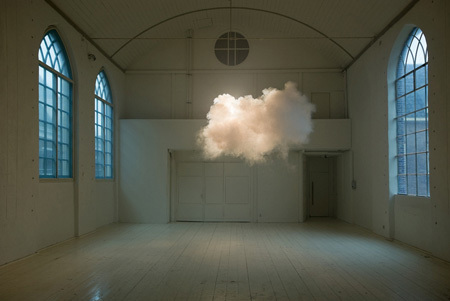 It might be about the formation of clouds as putative objects. These last two show my interest in IBM Selectric(TM) typewriter balls which has been with me at least a decade. They give me an interesting new take on clouds. 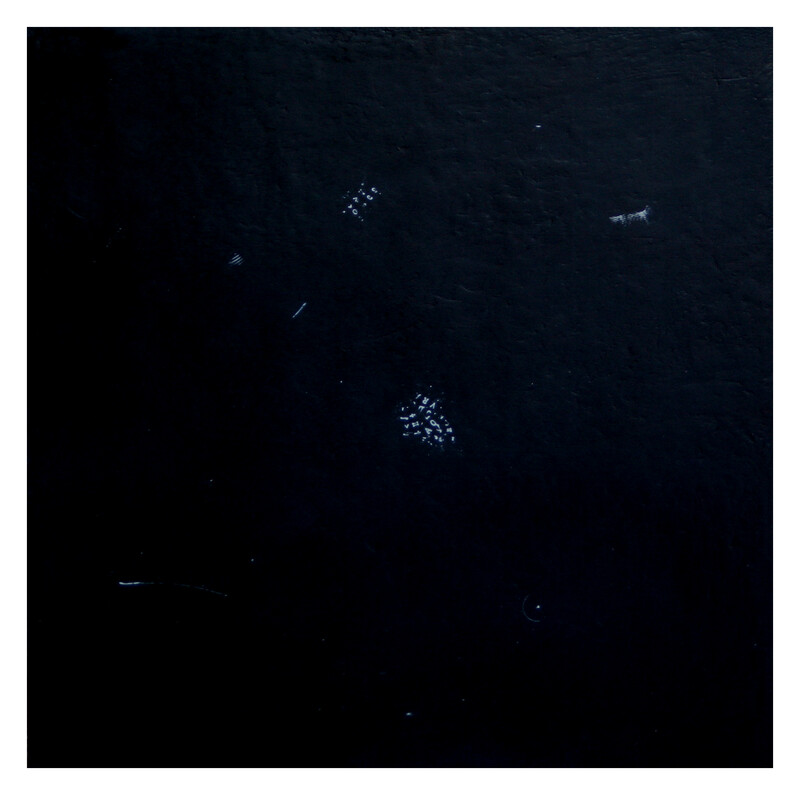 The black one is untitled, acrylic on panel, 16″ x 16″, 2009. I press the typewriter ball into the dried surface and then rub the white paint into the crevice as if I were inking an intaglio printing plate. 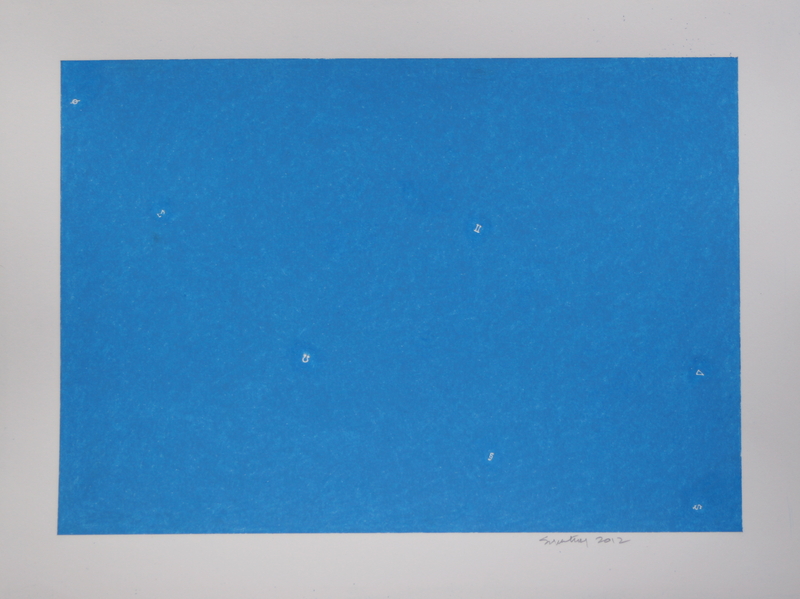 This is also untitled, coloured pencil on paper, 9″ x 11″, 2012. With dry media, I press the typewriter ball first and then the pencil scoots right over the crevice. The point of all this is much more difficult to articulate than how I did it. Suffice it to say that language seems to reflect our hard wired fundamental categories of understanding (Steven Pinker). But I suspect that the cart is sometimes put in front of the horse in that language is given the honour of being the filter. Oh, never mind, this is irrelevant, my hostility towards post-structuralism is irrelevant, and there’s no way I’m sufficiently well informed to venture anything useful on this subject. Once again theory tries to step in to justify art. Art needs no justification whatsoever. I just think it’s interesting to pretend that linguistic elements are real in the same way as rocks and clouds, although, it would be easier to devise a language/cloud analogy than a language/rock analogy. Then again, maybe not. That would make quite the poetry contest. Nonetheless, it’s certainly easier for me to draw and paint language as cloud-like as opposed to rock-like, but that’s probably because it’s the cloud metaphor that intrigues me. 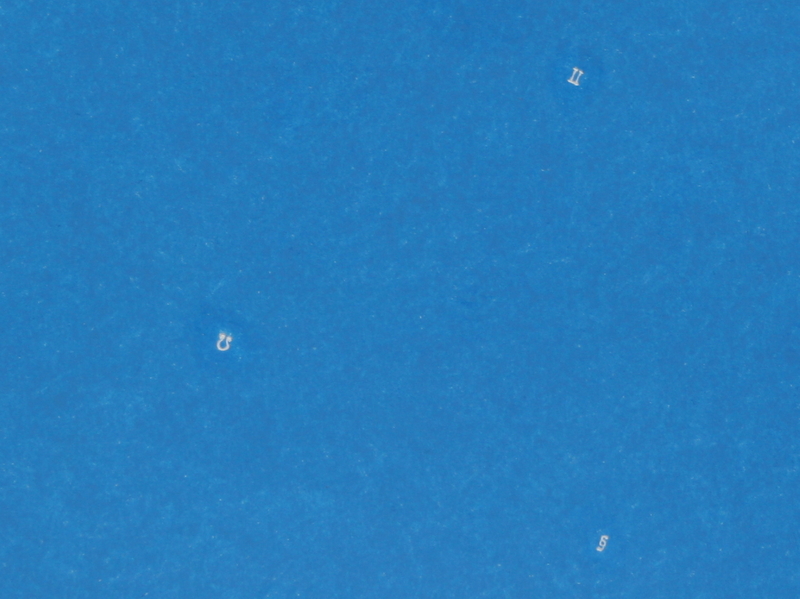 The letters look as if they came into being in the sky, just like clouds and stars do. That thrills me. It seems so mythological. A detail of the drawing to make it easier to see. I have around 20 typewriter balls thanks to eBay – various fonts, scientific symbols, Japanese.